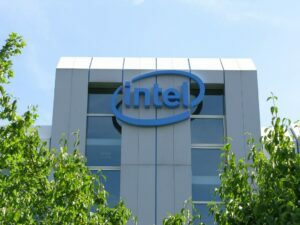 After the embarrassing public disclosure of the massive security flaws in the vast majority of Intel CPUs manufactured since 2005, Intel promised more transparency going forward. It only took Intel one week to back off this pledge. An Intel firmware update intended to “patch” some of the security vulnerabilities ended up causing significant problems of its own, including causing repeated and unexpected system reboots. Instead of publicly alerting all customers about this issue, Intel discretely informed only the company’s biggest corporate customers and OEM partners to delay installing this patch. To consumers, however, Intel continued to recommend downloading all updates. Of course, this should not surprise consumers as Intel CEO Krzanich is the same individual that sold off 900,000 shares of Intel stock netting $24 million on his Intel shares shortly before the news of these flaws became public and Intel’s stock took a tumultuous drop. Krzanich sold every share of stock he could legally sell leaving only the bare minimum he is contractually required to own. Aware that public disclosure of these vulnerabilities would lead to a dramatic stock drop, Krzanich made sure he and his family did not suffer the same fate as the millions of individuals who own Intel stock and lost considerable money from the stock decline. For more information on the Intel lawsuits, see our Intel CPU class action story. If you have questions about the above story or would like to join a lawsuit, please call 1-800-736-9085 or fill out our confidential form.